On the sunny and brisk morning of March 6th, 2016, I opened the enormous wooden doors of Swift Hall on Northwestern University’s campus. On this particular Sunday, we were gathering together to celebrate that just over 10 years ago, Church of the Redeemer held its first service in another small chapel that sat in the middle of campus. In the decade since that first service, God used Church of the Redeemer to plant four churches, raise up four full-time catechists, transform the lives of hundreds of students, and spark the advent of the Greenhouse Movement. 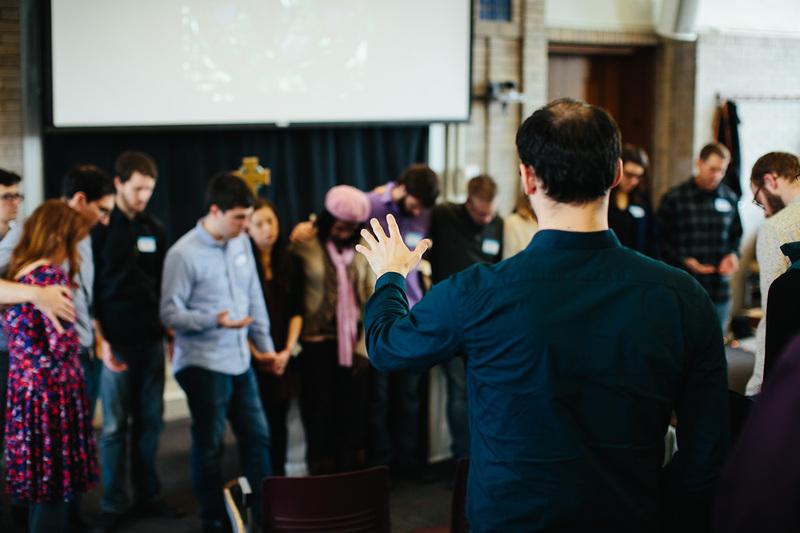 As its current catechist, I have been honored to serve God alongside so many amazing students and community members as we see God’s Kingdom go forth on campus and on the North Shore of Chicago. As we set up the space and prepared for the service, I reflected not on that first service 10 years ago, but on the small, seemingly insignificant prayer walk that preceded our congregation and planted the seeds which would eventually grow into Church of the Redeemer. As Mike Niebauer, Redeemer’s first catechist, and William Beasley walked throughout Northwestern’s campus those many years ago, they came to the enormous wooden doors of Swift Hall. Although the the doors were locked that day, they prayed over the building and William anointed those wooden doors. That small, yet faithful act of prayer laid the foundation for Church of the Redeemer and for all the Lord has done throughout the decade we were celebrating. 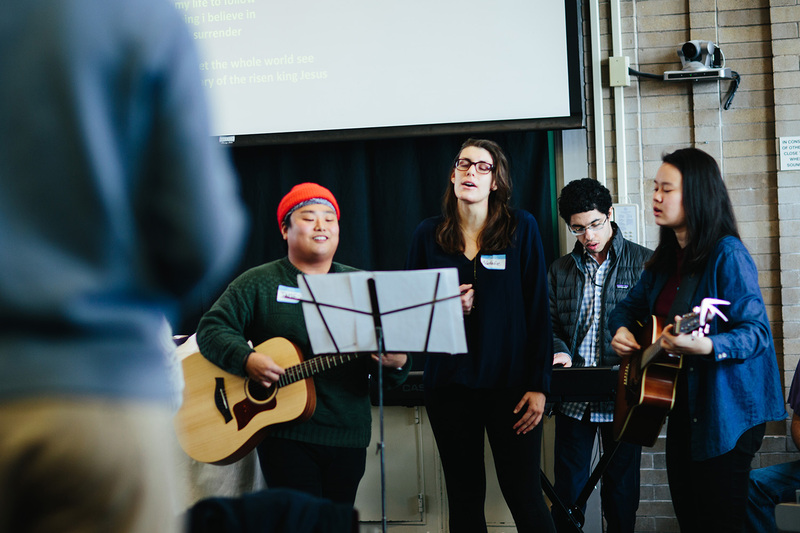 During the service, we packed the room with over 80 members, alums, students, and visitors who joyously worshiped the Lord in English, Spanish, and Swahili. Fr. Mike Niebauer brought to us a wonderful sermon of encouragement and thanksgiving. Together we laid hands on and prayed for the st udents in attendance and heard testimony from a past student about the ways Redeemer still affects her today. It was amazing to see three of the original eight people who were in attendance at the very first service come to celebrate with us ten years later. Fr. Jens Notstad celebrated the Eucharist for the first time at Redeemer, the same church he attended as a student, led as a catechist, and was sent out from to plant churches in Wisconsin. Finally, we all, young and old, danced in celebration and thanksgiving for the Lord’s work at Redeemer singing “Hakuna mungu kama wewe” (There is no God like you)! 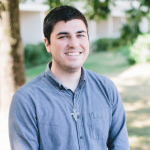 Ben Williams serves as a full-time missionary with Greenhouse at Church of the Redeemer at Northwestern. 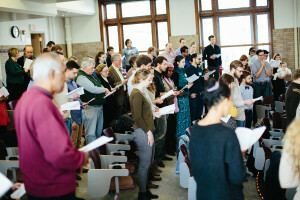 He disciples students of the church, helps release them to share the news of Jesus Christ with their friends and peers, and leads the congregation at Northwestern. He is from Kansas, MO and is married to Haley.